Right now, reckless proposals for timber clear-cuts threaten Crater Lake and endanger the diverse wildlife and ecosystems within Oregon's only national park. 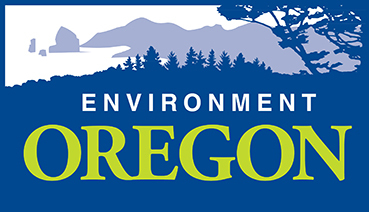 We need to make sure Congress protects the 75-mile wildlife corridor of forests, mountains and streams around the lake by designating it as wilderness. Add your name below to urge your senator to protect Crater Lake. With its deep blue waters and 2000-foot rim walls, Crater Lake is Oregon's crown jewel. The surrounding mountains and forests are home to Roosevelt elk, black bears, bald eagles and spawning salmon. Unfortunately, reckless proposals for forest clear-cuts threaten hundreds of acres of critical habitat. That's why I'm calling on you to protect a 75-mile wildlife corridor around Crater Lake that encompasses 500,000 acres, by designating it as new Wilderness. 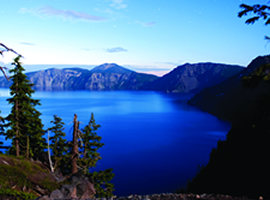 With its deep blue waters and 2000-foot rim walls, Crater Lake is Oregon's crown jewel. The surrounding mountains and forests are home to Roosevelt elk, black bears, bald eagles and spawning salmon. Unfortunately, reckless proposals for forest clear-cuts threaten hundreds of acres of critical habitat. That's why I'm calling on you to protect a 75-mile wildlife corridor around Crater Lake that encompasses 500,000 acres, by designating it as new Wilderness.